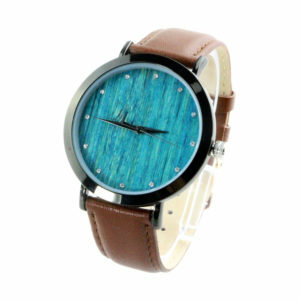 wood grain watch is great price, fine watch!If you’re looking for a cost-efficient but stylish watch for everyday wear, this is a great option. The look is subdued, but refined. Certainly will not let you down.If you want your logo in it, please check here. —Four, the dial is carbonized bamboo. How to make glasses to wood watch case ?